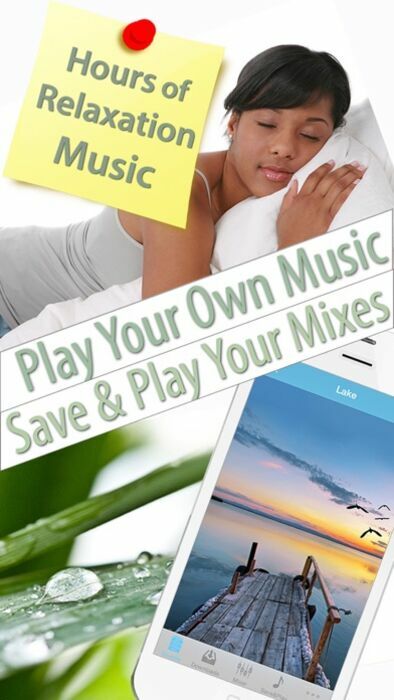 Every music pack features your favorite music CDs combined with the flexibility of iPhone/iPad applications (like a playlist or an alarm clock). All tracks have quality 192 mp3 with 44.1 MHz sample rate; several hours of relaxing and meditation music in total. And all that is for free. Any comparable CDs are about 5 to 10 dollars. Enjoy!!! Make sure to download and get several hours of music by just installing this free app and turn your iPhone/iPad into a airplay music system! This app has beautiful soundscapes that will help you to get away from the noise of the city, feel free from the problems that surround you and help you fall asleep. This is a 2 in 1 application. We put together two components in one app. 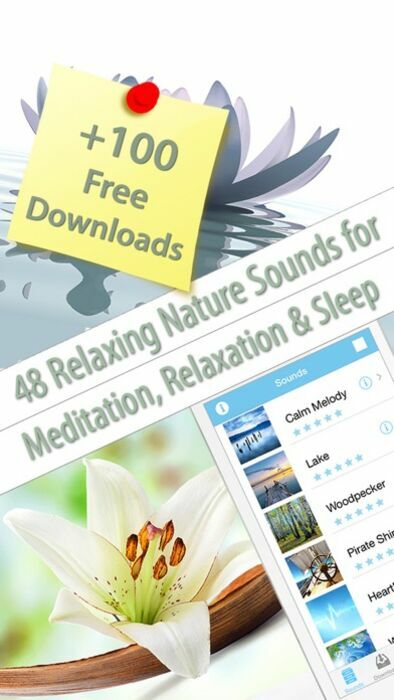 Which is an audio experience with 25 beautiful nature sounds and a soundboard with 35 sounds where you can mix a number of soundtracks to have a peaceful experience. Great app! Love using it to calm me down and relax. A 100% YES this is peace times ten. It works great so much to choose from. I asked you delivered, thanks. * Additional downloads free and paid are available with In-App Purchase. * iPhone 4 and iPhone 4S 5x retina display support. 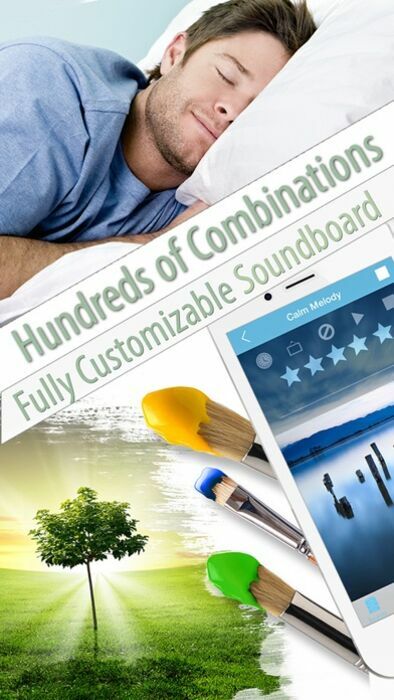 * The soundboard has 35 relaxing sounds with which you can combine or enjoy them on their own. Perhaps you will choose the sounds of breaking waves with seagulls, crickets chirping or the sounds of a flute, or perhaps played all together. You can do it all and much more. * Completely customizable. Create your own combination from 35 possible sounds (+ 100 free downloads) save them and use later. * iOS 4 background audio support. Play our relaxing sounds while you're using other apps. 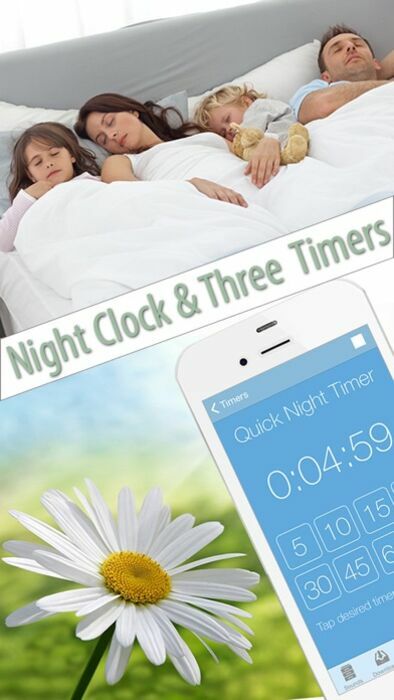 * Night timers have a Fade Out feature. * It is free of charge.